The Tronix Pro Envoy Tournament LW is a level wind casting multiplier which is fitted with a six block centrifugal braking system allowing the angler to extract maximum casting performance from the reel while limiting over runs. 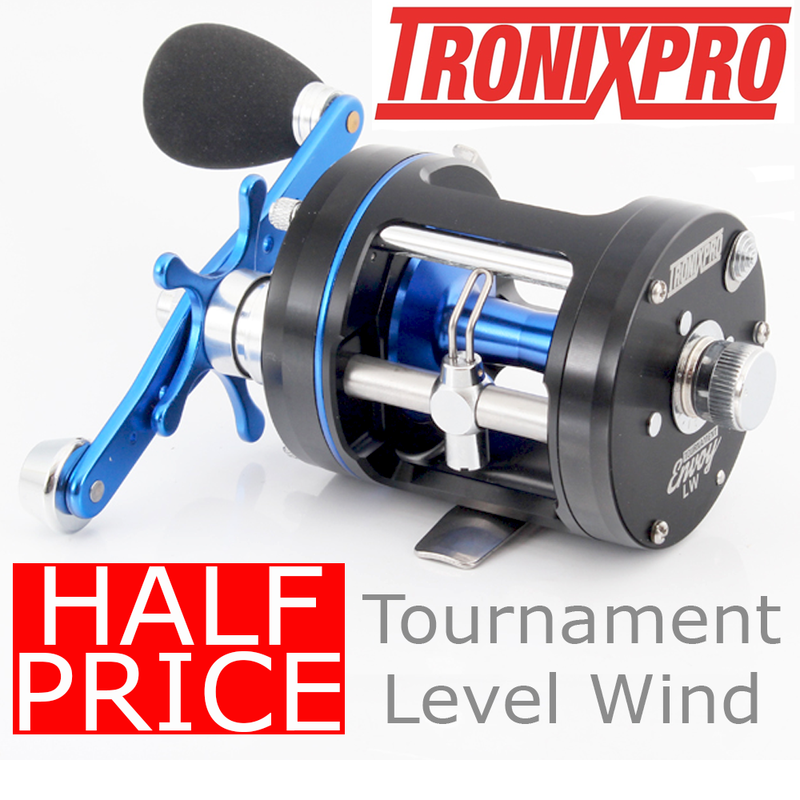 The Tournament Level Wind features a 6500 size spool which holds 250m x 0.35mm. The 5.3:1 retrieve gives the angler a good mix of speed and power. These features combined with an 8kg star drag system and Tronixpro Power handle give the angler a strong advantage when battling the fish of a lifetime.